Over the 12 years of its existence, Twitter has evolved into a powerful marketing platform, now used by thousands of business to engage with their audiences and build their brands. What began with 140 characters has grown to 280 characters, and incorporates videos, chats, polls, and more. A Twitter chat is an organized conversation about a given topic. This option enables businesses to connect with their audience and key industry influencers to discuss a specific issue, and both share their expertize. There's a range of established Twitter chats which occur weekly, such as #SmallBizChat, where people come together to discuss the challenges or opportunities unique to this group. Chats are generally hosted by a brand moderator who'll pose questions that people then answer and discuss. You can use Twitter chats to help build your brand - to do this, find established chats where your target or niche audiences are active and participate in the conversation. The key is to provide value, rather than a sales pitch, to capture their attention. The better the value, the more likely participants are to follow you, learn more about your business, and subsequently recommend you to others. 'Show, don't tell' is a common mantra of fiction writers, and can also be put to good effect on Twitter. You can include up to 2 minutes and 20 seconds of a recorded video in your tweets, and set them to automatically play when someone scrolls through their feed. The allowed length for the videos used to be 30 seconds, and it was often used as a teaser to get the audience to visit the company website to view the entire recording. Given the average viewer’s attention span, some businesses believe that shorter videos are still the best strategy. Twitter also has a feature for recording live videos within the Twitter app, which is an excellent way to share exciting news, show a new product or design feature, or give a tour of your store or office. Live videos are growing in popularity, because they help viewers make a personal connection with your business. As such, its worth using this capacity to your advantage. People love taking quizzes about everything - from which Disney villain are they most like to if they were wine, would they be white, red or zinfandel? On Twitter, businesses can use polls to get feedback on their products or services, learn the best way to connect with their audience, or identify which topics they want to discuss in a Twitter Chat. Twitter polls are easy to create, and if they're pinned to the top of your feed, they're also easily found and used. When your polls are retweeted, all responses from the retweets are added into your totals, potentially giving you access to much broader data sample. To maximize the impact of your Twitter polls, ensure you have a goal for each one, and don’t run more than one per month. There was a lot of controversy around Twitter’s move to double the tweet length from 140 to 280 characters last September, but research has since found that extended tweets generate more engagement. The 140 character limit is a difficult habit for many people to break, but for those who do, they've found that it improves both creativity and grammar, making your tweets more professional. Many businesses are now using the longer format as 'mini blogs' or lead-ins to more extensive content on their website. In addition, with so many people choosing to stay within the shorter limit, longer tweets often stand out from the crowd. Given these findings, it's worth using every one of your allotted characters to help boost awareness and build your brand. Most businesses focus on attracting followers - but savvy ones understand the value of following industry leaders and influencers. Following the right people can help you keep up to date on trends, conversations and audience interests. You can also learn from their actual Twitter feeds, and see what works via tweet, and what falls flat. Curate their tweets by retweeting with them, with your own commentary added, recognizing their expertise while adding your own to the mix. These people are more likely to follow you in return, and help you generate quality followers by association. 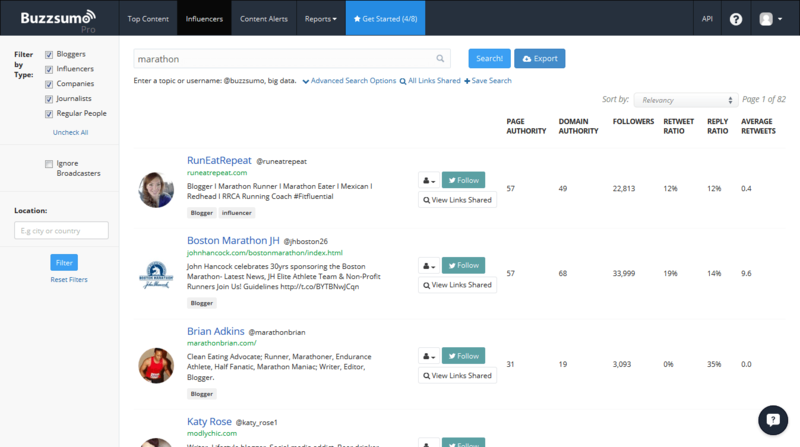 You can research relevant influencer by using a tool like BuzzSumo. Nearly every business uses multiple social media platforms for marketing activities, but integration is the key to maximizing impact. Understand which platforms are preferred by your various niche audiences, then tailor your content accordingly. “Assure that your message is consistent across all channels to avoid confusion of your brand,” says Dima Midon, founder for TrafficBox. “And don’t make the mistake of using Twitter solely to promote the content on other platforms, but recognize it as a significant component of your broader online marketing plan,” he adds. Twitter offers a range of opportunities to engage your target audience, in ways that are still largely unique. Appreciate the platform's differences, and use these proven techniques to elevate your efforts.